It’s been three weeks since the IMSA Continental SportsCar Challenge was last in action at Road America, and TeamTGM has been busy preparing for Round 8 of the 2017 championship at VIRginia International Raceway this weekend. 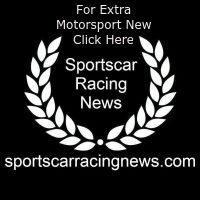 Following a practice crash at Road America that saw the team unable to compete in the Road America race, TeamTGM is back and ready to go racing at VIR. While team driver and owner Ted Giovanis continues to heal from his injury sustained at Canadian Tire Motorsport Park earlier this year, drivers Guy Cosmo and Hugh Plumb have once again been tabbed to carry the TeamTGM banner at the wheel of the No. 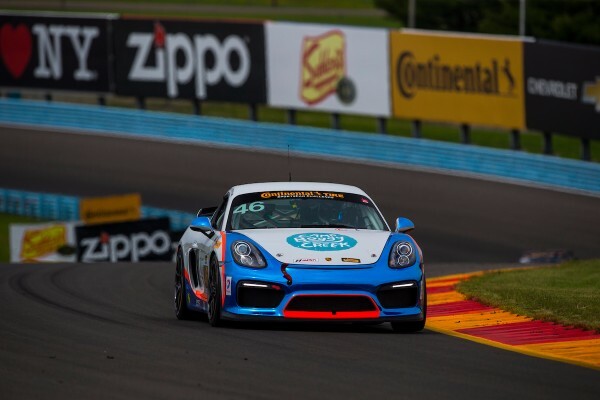 4 Camp Boggy Creek / JKTG Foundation Porsche Cayman ClubSport GT4 MR.
TeamTGM has visited VIR seven times since 2007 and the team’s best finish of seventh came last year when Giovanis and Cosmo teamed up for their second race as a driver pairing. Both Plumb and Cosmo have numerous previous starts at the 3.27-mile Virginia road course. In fact, Plumb is a three-time winner at VIR in Continental Tire SportsCar Challenge competition – scoring all three victories while driving with his brother Matt (2006 ST – Acura RSX-S, 2008 GS – Mustang GT, 2015 GS – Porsche). Cosmo is also a race-winner at VIR. He won in his very first race at the Virginia road course racing in Continental Tire SportsCar Challenge (formerly GRAND-AM Cup) while driving for Duane Neyer Motorsports with Mark Plummer. TeamTGM recently completed a successful test at VIR and aims to start the weekend off strongly with the No. 4 Porsche Cayman ClubSport GT4 MR.